I read these two books one after the other. 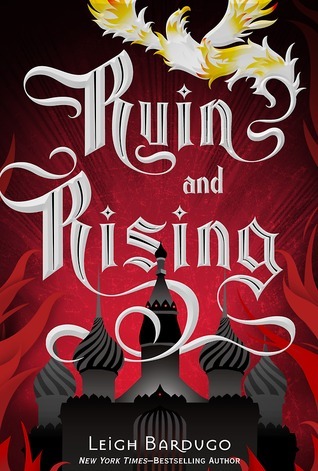 Although it took me a while to get into the second installment, I didn’t have to think twice about jumping straight into the third book once I finished Siege and Storm. In my opinion, Siege and Storm is a bit of an intermezzo. There are some new characters (all of whom I adored. 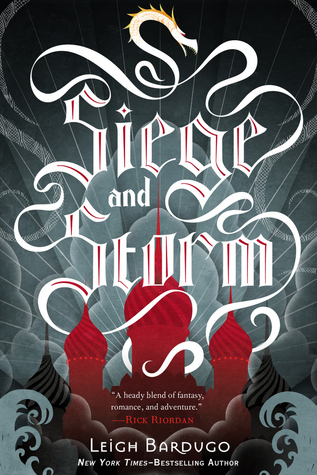 Stormhund is my favourite character in a shared first place with The Darkling) and there’s a lot of build-up for the last book. The end of book II was very good. That’s why I immediately started book III. What can I say? I read it in a day, maybe even less. It was highly entertaining. I loved how Alina grew in her role. I loved all the side characters (except for Mal, he just made me very uncomfortable. Don’t know why.). I loved that it was more gruesome because this is war, not just a disagreement. The Darkling went super dark and although I was always hoping he’d turn around, it’s not really in his nature. So, I appreciated that he was, in fact, the bad guy. But above all, guys, I loved Nicholai. I absolutely adored him. What happened to him made me feel so bad! That’s why I was a bit disappointed by the end. In a way, it’s the logical thing to happen. But I felt a bit cheated. If this merzost thing is really that bad, then why would she bring him back from the dead? Okay, she loves him, but still. I give Siege and Storm three stars and Ruin and Rising four stars. I’m glad I picked them up. Any recommendations for fun fantasy series? Previous post#AllLivesMatterEqually or that’s how it should be..